As we begin the new year, our attention turns to the opportunities and challenges that lay ahead for our Jewish community. With this in mind, we are pleased to be able to begin sharing the results of our 2018 Jewish Population Study. The study itself is based on 1,200 interviews, randomly sourced and conducted from January 17 to March 27, 2018. The lead demographer on this project is Ira Sheskin, Director of the Jewish Demography Project at the University of Miami. Mr. Sheskin has conducted over 50 major Jewish community studies for Jewish Federations throughout the country. The results of this study are extensive and will take time to fully analyze and report. There are a number of high-level results we would like share as a starting point to this important effort. We are a stable Jewish community. 70,800 Jewish persons live in 31,500 Jewish households. These figures are essentially equal to 2005, when we reported 71,500 Jews in 30,000 Jewish households. This is very positive news, especially in light of the extensive population loss we have seen in past decades—due in part to an outmigration of young adults to other cities. We are also living in the same basic geographic area, though the concentration has shifted somewhat and spread out from the most densely populated zip codes in West Bloomfield, Farmington and Oak Park. Detroit is the 26th largest American Jewish community. Our community is rooted here. 62% of adults in Jewish households in our community are locally born—an extremely high number compared to nearly every other city in the survey. 60% of households feel very much/somewhat a part of the Jewish community and 87% of households have lived here for 20 or more years. This is also good news, as it is clear that people who live long term in a community tend to feel more connected and engaged. Young Adults Are Staying in Metro Detroit. Compared to the results of 2005 and earlier surveys, the 2018 study reflects a strong retention of community members, with particular growth in the size of the young adult population. The 2018 number of individuals ages 18 to 34 was 19,100, compared to 9,400 in 2005. This represents a 103% increase in the size of this important demographic group. 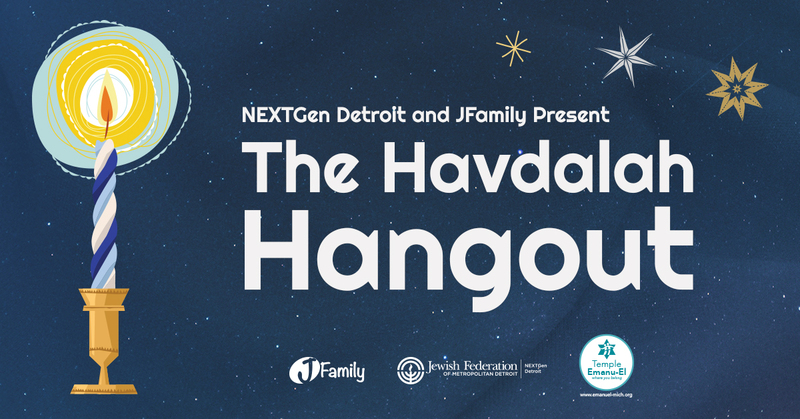 This encouraging data supports the importance of our NEXTGen Detroit initiative, which has been successful in helping to attract and retain young Jewish adults to Detroit. We have a large number of Baby Boomers. The number of persons age 65-74 increased from 7,600 in 2005 to 10,100 persons in 2018—a 12% increase. We also learned that adults are working longer; the percentage of persons age 65+ who are employed increased from 29% in 2005 to 33% in 2018. As this population ages, there will be a need for additional support services to help them remain at home. This demographic remains a core group in our community regarding participation and support of Jewish life, and it will be important to maintain and grow their involvement in the community. Household income has decreased, particularly for households with children. When adjusted for inflation, the median household income of households with children declined from $150,000 in 2005 to $135,000 in 2018. 2% of households live below the Federal poverty level. The decrease in income has implications for the ability to pay tuition and fees for Jewish schools, programs and memberships and may have impacted the decline in membership throughout the community. It also suggests that social service needs may rise, particularly among families struggling with financial constraints. There is a need for social welfare and mental health services in the Jewish community. It is clear that there are many individuals in our community who require services. For example, 13% of older adult households have a member who is health limited; 14.4% needed health coordinating services for an older adult and 5% for a non-elderly disabled person; 14% needed marital, family or personal counseling; 12% need job counseling; 11% needed assistance for a child with special needs. Of special significance is that 31% of households with children stated that they needed mental health services for their children, strongly supporting the rationale for Federation’s Youth Mental Health Initiative. Overall, these numbers indicate the need to provide services for vulnerable members of our community, in particular families in crisis, older adults and those with disabilities. Our marriage patterns are changing. The percentage of married couples who are intermarried increased significantly from 16% in 2005 to 30% in 2018. While this remains lower than national averages, the increase itself is consistent with ongoing trends. The percentage of children in intermarried households being raised Jewish increased from 31% in 2005 to 44% in 2018. In general, intermarried households are less involved with Jewish practice and the Jewish community. For example, nearly half of all Jewish individuals who do not belong to a synagogue are intermarried, compared to just 12% of those who are not, suggesting the need to strengthen outreach efforts to those who are intermarried. 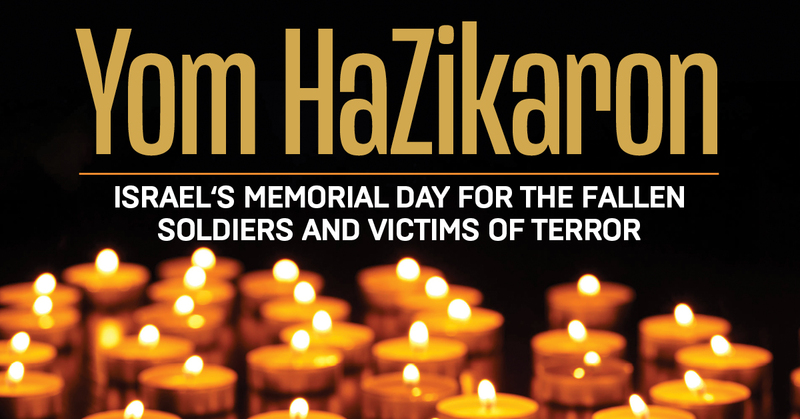 Israel is very important to our Jewish community. Detroit’s longstanding connection to Israel remains strong today. The percentage of households in which a member visited Israel increased from 58% in 2005 to 63% in 2018—the 2nd highest percentage of 25 comparison communities. The percentage of households with Jewish children, ages 6-17, in which a Jewish child visited Israel rose significantly from 25% in 2005 to 33% in 2018. 50% of respondents are extremely/very emotionally attached to Israel and 45% of respondents who donated to Federation cited “Supporting the People of Israel” as an important motivation for giving. The trend today is away from membership and affiliation. 31% of Jewish respondents identified as “Just Jewish,” a 90% increase from 2005. 9% of Jewish respondents identified as Orthodox, down from 11% in 2005; 20% as Conservative, down from 28% in 2005 and 36% Reform—the same percentage as in 2005. These trends may be less indicative of the degree to which individuals feel connected to Jewish spirituality and tradition, and more on a growing move away from an identification with traditional “labels.” Although membership in synagogues, the JCC and other Jewish organizations is lower, participation remains relatively high in our community. Given the changes in affiliation patterns, it is critically important to find new and innovative ways to engage and connect members to the Jewish community. We are a generous community. Jewish Detroit has the highest per capita giving of 43 comparison communities and is very close to the top in the overall percentage of community members who donate, both to the Jewish Federation and to Jewish charities in general. The main motivations for giving are “helping Jews locally who are in financial need,” “providing services for the Jewish elderly,” “providing Jewish education for children” and “supporting the people of Israel.” Of special note is the fact that participation in Federation’s Annual Campaign is roughly the same across all demographics, including young adults. This statistic is a true outlier among Jewish communities, reflecting the strength of our young adult engagement efforts and boding well for our collective future. We are encouraged to learn that the Jewish Federation’s efforts to maintain stability in the community—especially regarding the engagement and retention of our young adults—appears to have produced very tangible results. As we work to ensure our future, it is critical that we remain focused on sustaining the foundation for Jewish life and continuity throughout Jewish Detroit. 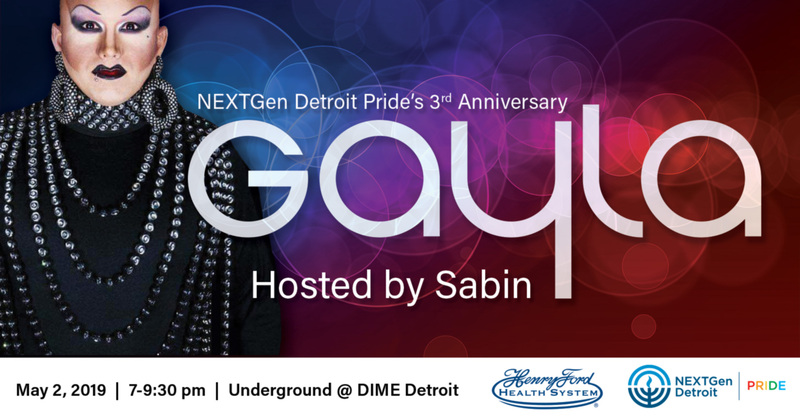 We do this through programs such as NEXTGen Detroit, Women’s Philanthropy, Interfaith Couples, Pride (LGBTQ) and other affinities, as well through our support of Jewish organizations throughout metro Detroit. We are also glad to see that the awareness and perception of Federation remains strong—the 2nd highest of all cities in the comparison (number one was the much smaller community of Omaha). Corresponding data reflects high levels of campaign participation and overall philanthropic generosity—which is critical to maintaining ongoing support to our agencies, schools, camps and other organizations which deliver services and support Jewish life on a daily basis. While much of the information indicates positive trends for our community, we know that we are not meeting all the existing needs. There is so much more to be done to ensure a healthy vital Jewish community now and into the future. The need to grow our Annual Campaign and retain and grow our database remains paramount if we are to continue providing support for our most vulnerable populations, while also tackling challenges associated with an aging population, high rates of intermarriage, a crisis of mental health issues and other key concerns. Once again, this information provides only an introductory snapshot to the extensive data developed by the study. We will share much more information, both on-line and in a variety of forums and presentations, as our analysis and summaries are completed. We will continue to alert the community as the information becomes available. 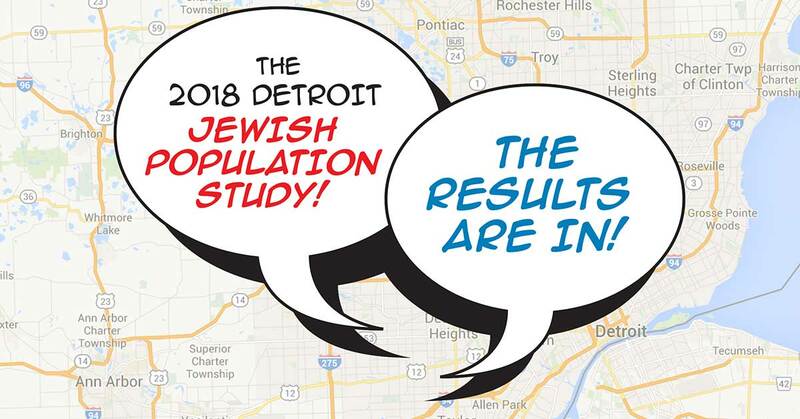 The 2018 Detroit Jewish Population Study is dedicated in memory of Mandell L. “Bill” Berman. Bill Berman was an ardent supporter of our Detroit Jewish community and a visionary businessman and philanthropist who had a strong and abiding interest in study of the American Jewish community. We would also like to gratefully acknowledge all the donors to the Jewish Federation, whose generosity helped make this study possible, as well as supporting the other work we do throughout our local and international Jewish community.